Qatar just welcomed one of the world’s most luxurious hotels to the heart of its capital. Take a look inside Mondrian Doha. Located on West Bay lagoon, perfectly situated between downtown Doha and the innovative upcoming Lusail city, Mondrian Doha has officially opened its doors. 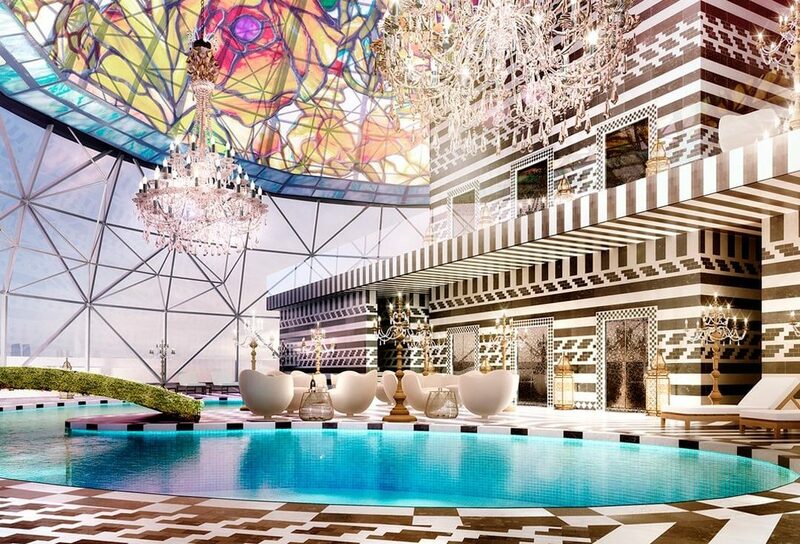 It is the first Mondrian boutique hotel by the leading lifestyle hospitality company SBE in the Middle East. The grand opening will be celebrated by a black tie event later on this month, introducing Qatar to the luxurious amenities of the hotel. “We are thrilled to open our first hotel in the Middle East in Doha, Qatar. After so much time and investment has been put into this hotel – it is fantastic to be able to see it all finally come to life and we’re looking forward to expanding the sbe brand further into the region next year,” said sbe CEO Jorge Giannattasio. 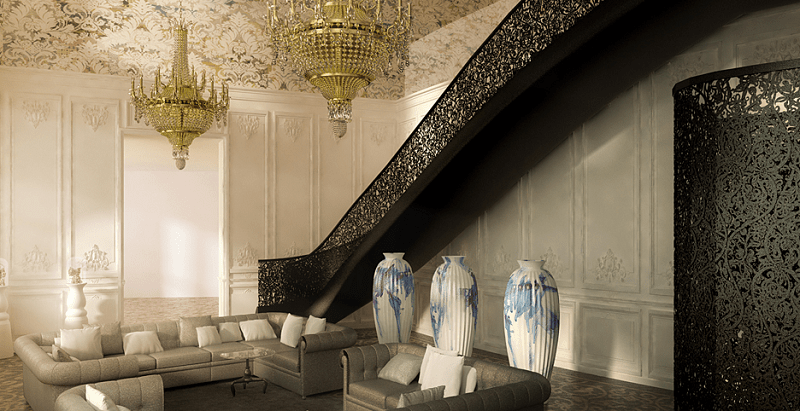 The hotel offers an ultimate luxury experience at all of its 270 rooms, which were co-designed by world-renowned Dutch designer Marcel Wanders and South West Architecture. The rooms are divided into five distinctive categories: penthouse suites, studio suites, one and two bedroom suites and a range of standard guestrooms – all offering an unrivaled top quality experience. The 849-square meter two-story apartment offers a 360-degree panoramic view over the beautiful Doha skyline, and includes a living room, a master king bedroom, two twin bedrooms and a dining room. It also comes with an entertainment room fitted with a piano and a pool table. Mondrian Doha also offers an impressive variety unique dining experiences across 7 culinary concept restaurants, including CUT by champion chef Wolfgang Puck. The other eateries are: Morimoto Doha, the first restaurant by Japanese Chef Morimoto to open in the Middle East, Walima, a Qatar-inspired Arab cuisine concept restaurant, the Hudson Tavern, a rustic yet elegant burger joint and brewery, NYC’s popular Magnolia Bakery and the Black Orchid lounge nightclub. On the 27th floor however, you’ll find “Rise” skybar and pool, where crystal chandeliers hang down from the hand-painted glass dome roof. 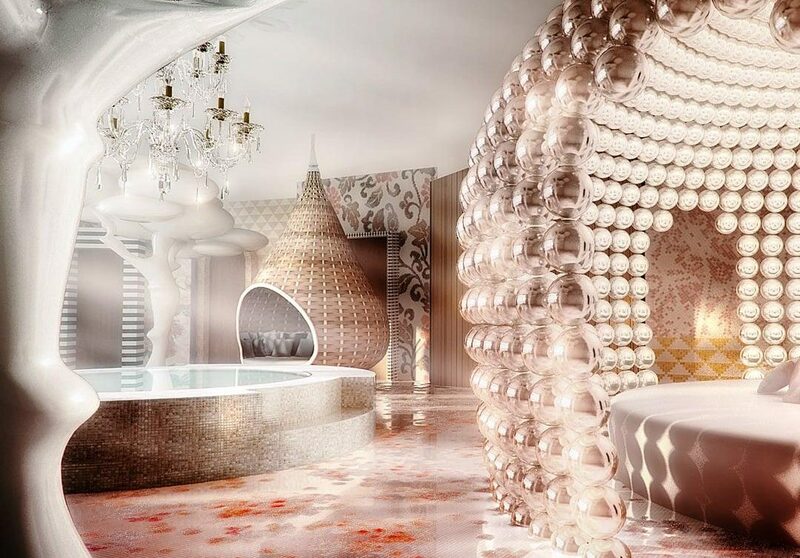 At the Mondrian Doha you’ll also find the largest ESPA Spa in the world, with 2,000 square meters of pure relaxation and pampering, as well as a 24-hour gym. The largest ESPA Spa in the world. If you hurry up and book a room today, you can benefit from special discounts and package deals in celebration of the hotel’s official opening.